Tucked away in my Uncles garage, has been this old purple S for many many years. 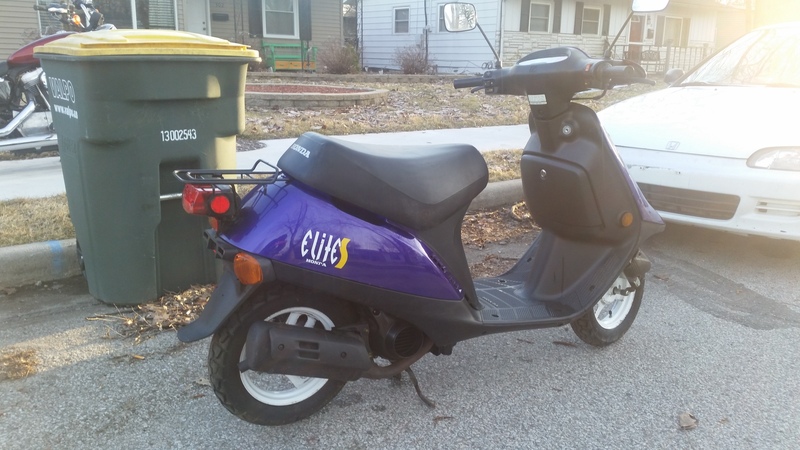 He originally had a purple SR, that he rode every day, everywhere, that got stolen from his work. He got this one brand new and was to scared to ever ride it anywhere, for he thought it was 1: way to slow (he was 300+ lbs. and the * at the honda dealer thought it a good idea to sell a 300# adult a SA50P), and 2: he was afraid of it being stolen. I would start it for him every year as i always have rode and built scooters in my spare time. I drained the fuel every year and would clean it up and maintain it through the 2000s,and now the 2010s, until he just recently passed away and now i have it. 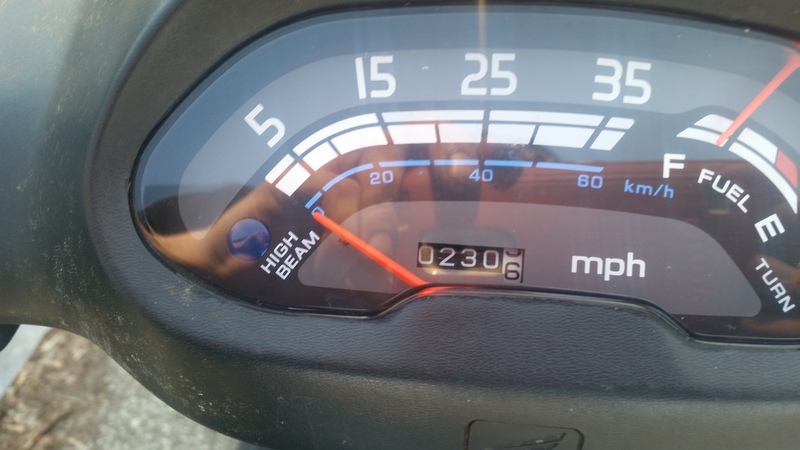 The mileage that is on it, is from me taking it down to the fuel station about 2 blocks away twice a year to air up tires ect.. and riding it around the block to keep it from degrading. Put new hoses, tires, fluids, spark plug, filter, oil lines. SR oil pump, and split throttle cable. de restricted variator, exhaust, left airbox alone, waiting on jet kit to come in mail before i run it, needs 78 main jet i believe. Will take more pics later and post. It feel so fresh. Riding it feels amazing. Re: My 1999 Elite S with 230 miles. Wow that's amazing. Your kinda at a crossroads, you can continue the tradition of museum-like caring for it or ride it. When I got my 87 Elite 50 S it was pretty mint I thought but nothing compared to this. The guy I bought mine from was original owner took good care of it etc...long story short I chose to ride mine and never looked back. 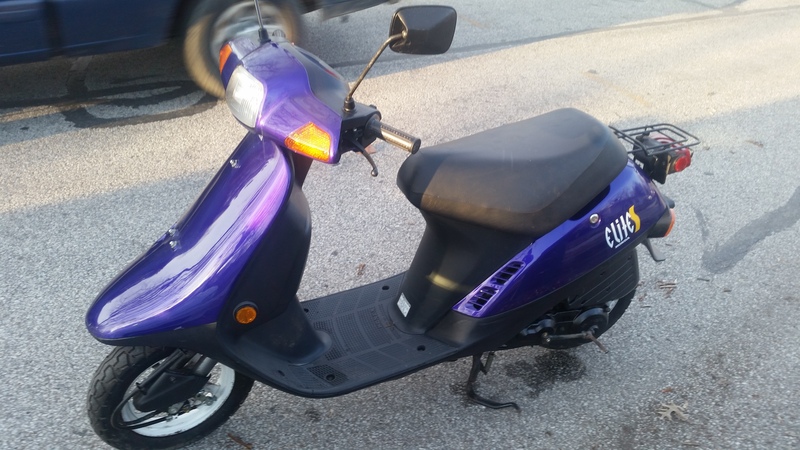 Congrats hondapowersr on keeping this scooter in good nick for your uncle, rest in peace. I know how you feel when you say "feels so fresh. Riding it feels amazing"
I have a 1993 Jog with 700 miles that I just returned to service. 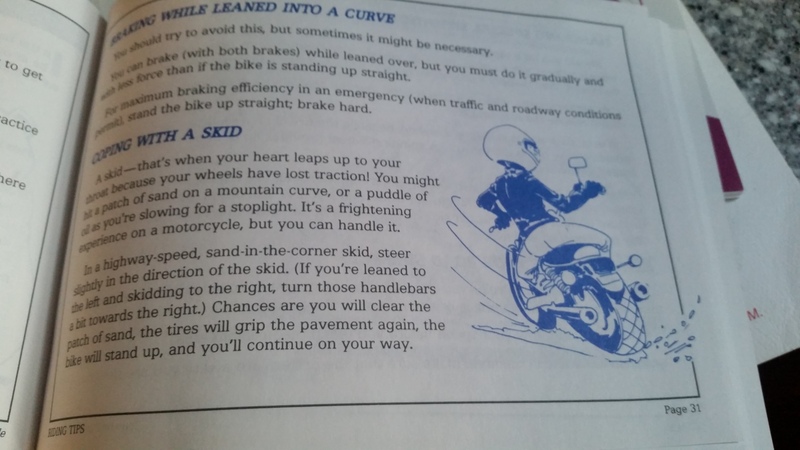 Hope you continue to cherish the scooter for many years. 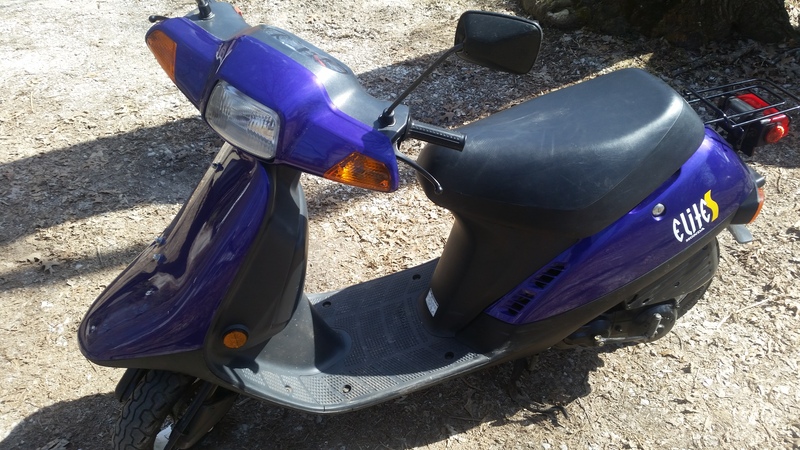 You can modify the old, tired scooters to make them better, faster, etc....BUT it will ONLY be this FRESH,...once. Thank you both for your kind words. I have built 2 elites, and 2 Zuma''s in the past. Both in the 55 to 60 mph range. 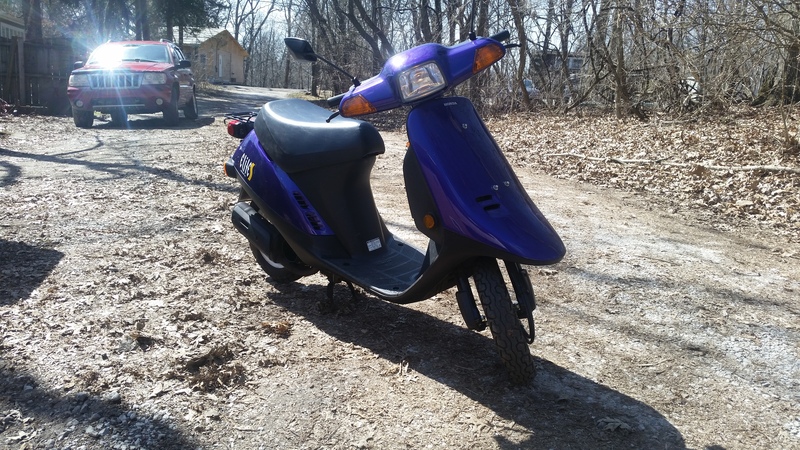 My fiancee has a zuma that does 50, and right now this does 35 mph with me on it (215 lbs) and 38 mph with my fiancee on it (115 lbs). So i would like to at least keep up with her. My uncle would want me to ride it and have fun with it, so i will problably will stick with the original plan that was pull this low milage motor, wrap it up, and store it for another ten years. I have another af16e with 1300 miles on it that I want to put a polini corsa on, and put in it. Im going to document every step of everything I do regardless. Here are some pics of after the derestrict and after some cleaning. Last edited by hondapowersr on Wed Apr 03, 2019 1:23 pm, edited 2 times in total. 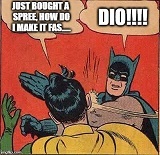 That jog is amazing spreeorDIE. My friend has one that has some serious acceleration even as a stock machine. 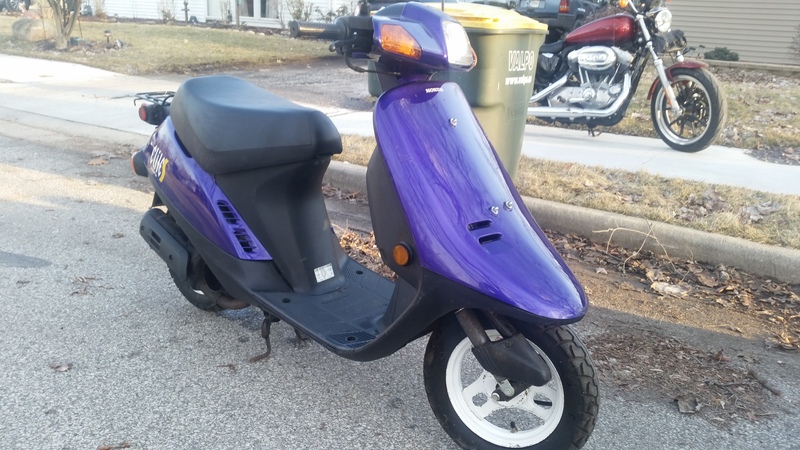 I was a mechanic at the Honda dealer that sold this scooter to my uncle, although I worked there years after. So I am going up there to see if I can get the paprework from the original sale back in 98. 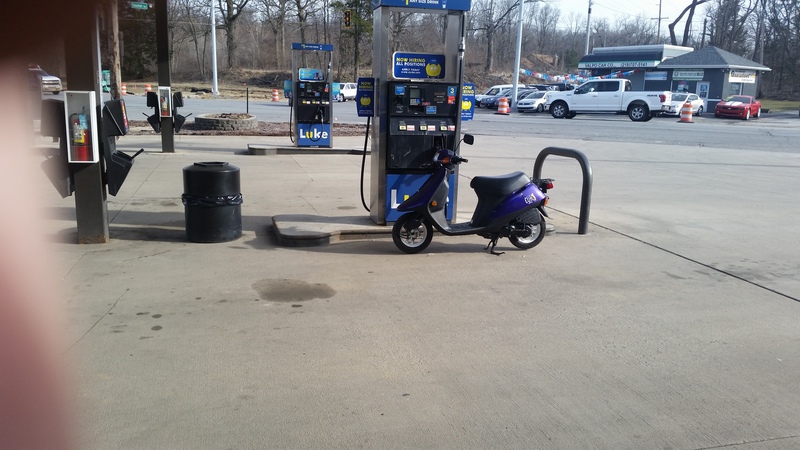 Very nice scoot. Your Uncle obviously cherished it enough not to risk losing it, even if that meant not riding it. Im sure no matter WHAT you decide to do (keep stock or modify) he would be pleased that YOU own it and will value it as highly as he did. Condolences. Thanks bud! He was handicapped. I think it scared him to only be able to go 20. His SR did at least 35 with him on it. My mother didn't want me to do anything to it for him, as she doesn't understand mechanical stuff. Now that I've de restricted it I'm sure he would have a big smile one his face. That jog is amazing spreeorDIE. The Jog is mine hondapowersr...easy to make that mistake since you are new to this forum. Ah I see. Sorry about that. When viewing on my phone the text is super small. My apologies. That's an awesome machine you have. I bet you get compliments everywhere when riding. I took out the elite for a small ride last night and stopped at the Honda dealer. Everyone there was excited about my scoot. There looking into the original paperwork for me. Omg, look what I just found guys. All the original paper work from november 3rd 1999, when my uncle originally got this scooter from the local Honda dealership ( I ended up being a technician there for 3 years). 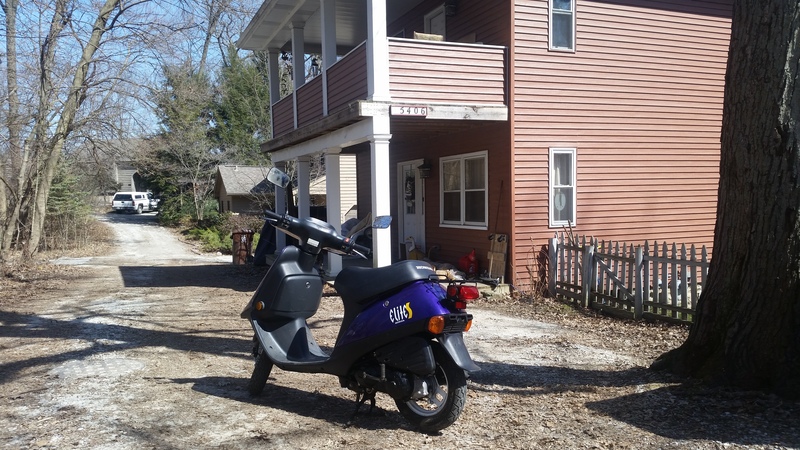 Bill of lading, odometer cert from dealer showing 1mile, spare key, receipt for 1895.99 after discount, owners manual, Honda riding guide book, maintenance pamphlets, handlebar tag ( window sticker basically), and much more ! I just got it plated and titled, with title showing the 230 actual miles on odometer. Also update, I just installed main jet, polini variator, yellow clutch center spring, 4000rpm springs, and new Honda belt. She does 50 on flat land with my 220 lb self on it, and 55 with my gf. Going to pull motor to preserve it, and swap my 1100 mile 99 af16 into it with polini 70cc corsa, gienelli pipe, polini 24mm carb, intake, and better crank bearings.